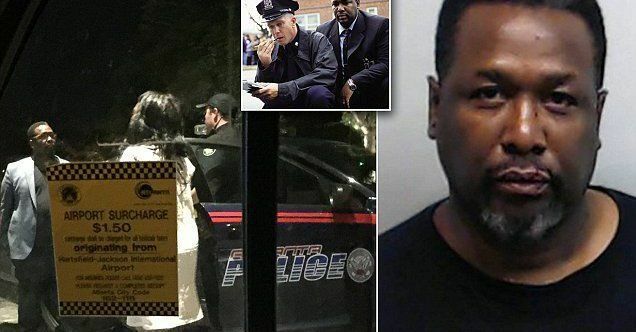 Actor Wendell Pierce was arrested Sunday after beating a Bernie Sanders supporter outside an Atlanta hotel. Pierce grabbed the woman by the hair and smacked her in the head. So will the liberal media demand Hillary Clinton apologize for this latest act of violence? The Wire actor Wendell Pierce has been arrested for allegedly attacking a woman for supporting Bernie Sanders. Pierce is accused of grabbing the woman by the hair and smacking her head during the politically-charged row outside an Atlanta hotel. The 52-year-old actor was arrested outside the Loews Hotel at 3.30am, an Atlanta Police Department spokesperson told Daily Mail Online. He has been charged with battery. The actor – best known for his role on The Wire as Detective Bunk Moreland – was a guest at the hotel, police said. ‘The incident did not rise to anything significant so no special notification was made… it was treated like any other arrest a patrol officer conducts,’ cops told Daily Mail Online. ‘Mr Pierce made no indication he was famous nor did the officer inquire,’ an officer added. Jail records show Pierce was charged with simple battery and a misdemeanor offense. He has been released on a $1,000 bond. But the Trump supporters are the violent ones, right?